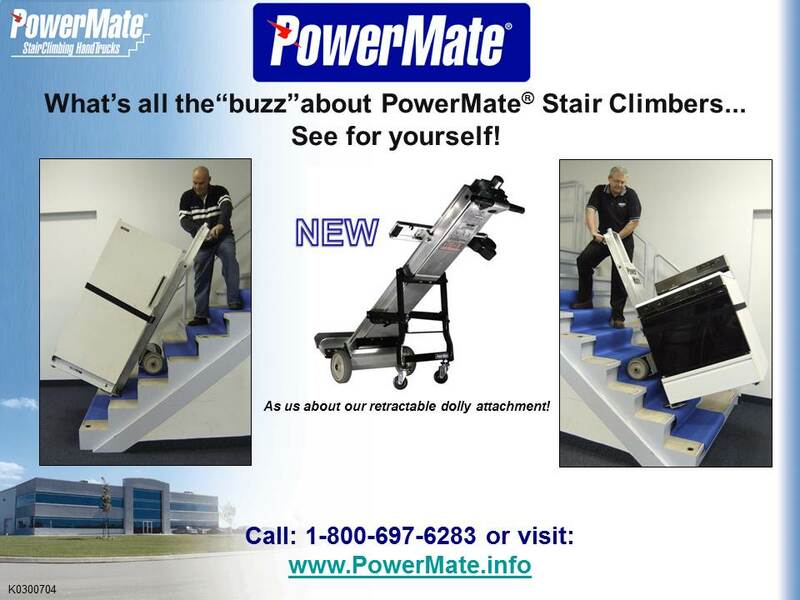 If you have questions about PowerMate units call us. In this presentation you will find details on labor savings, increased professionalism, reduction in property damage, safety, return on investment (ROI), operator training and PowerMate model information. Fill in the form below to access the PowerMate presentation download page and so that we may email you an online link and further deliver relevant PowerMate permission based communications. With PowerMate SAFETY DOES = PROFITS! This new white paper covers how implementing a PowerMate Stair Climbing or LiftGate Solution can make your company both safer and more profitable. How and why a PowerMate Solution is right for your Organization! If safety is a priority for your organization, get the details today and see photos of people moving many of your typical loads.